Darren Bell and Katherine Taylor have been running Lincoln Yurts on their eleven-acre property, just outside a small village called Welton in Lincolnshire, for almost four years. Each of the five yurts is uniquely decorated, guests can choose from Gothic to French, Balinese to Mongolian and Oriental. Each has been sumptuously furnished with luxurious, high-thread count bedding, Tempur mattresses, rugs and wall coverings. These very special guest accommodations even featured in an episode of the TV series Four in a Bed (series 3, episode 58 to be precise). "We still get mileage out of the broadcast. It's airing in Australia at the moment," laughs Katherine. Lincoln Yurts also have a seasonal Lotus Belle Tent, complete with heating and electricity that is erected for guests from Easter to October. So how did the couple find themselves in the 'glamping' business? "The inspiration for the themed yurts was the purchase of a beautiful, antique Balinese wedding bed some time before and it went from there. Cleaning them does require some major physical strength as we have to lug the vacuum cleaner and power extension cords across a number of fields." 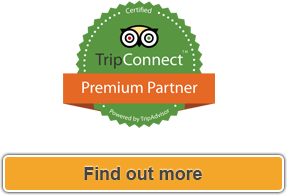 "We first starting using freetobook around one year ago and also signed up for the channel manager for booking.com. Most of our guests are from the UK, many escaping from London and the areas around Hull, Grimsby and Peterborough. Our main catchment area is around one hour's journey from here. 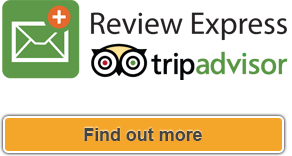 We do find our bookings tend to be for weekends and made just a couple of days before arrival. Our guests are no doubt weather watching!" "We now use the online payment system FabPay for almost all of our transactions, rarely do we have to handle cash. FabPay is brilliant. Smooth as silk! Each month we just buy the transaction credits we need and it's so easy to use taking a deposit to handling payment of the balance 30 days before. 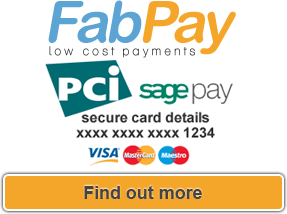 We calculate we are saving around £150 each month switched over from PayPal to FabPay." What does the future hold for the business? "We aim to never sit still, to keep on changing and developing the business. Katherine and I joke about 'Game of Thrones' as a new theme for one of our yurts." "FabPay is brilliant. Smooth as silk! Each month we just buy the transaction credits we need and it's so easy to use..."